It is an established fact that in Africa, women are the backbone of communities and the continent’s greatest potential to unlocking economic growth. They provide the majority of labor with the least amount of resources. Based on these facts, we must come to the realization that the reductions in the gender gap in education, health, political participation, and economic inclusion will result in an increase in the continent’s economic competitiveness. We must create a level playing field for women and youth to become active participants in changing the socioeconomic trajectory of life for them and their families. That can only happen when they are provided with the tools necessary for job readiness and actual sustainable jobs. These gifts of knowledge and equal standing will help them to become fully functional members of their communities. 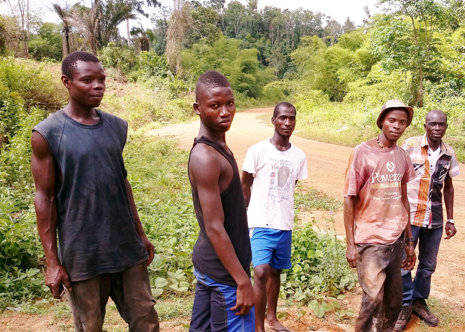 Higher Ground International has an opportunity to create direct impact in the lives of thousands of women and youth, all of whom are wasting away in the bushes of rural Liberia and Sierra Leone without any hope for a fruitful future. Alarming to that, is that girls as young as 11 years old who are babies themselves, are having babies at such a tender age and losing the hope to live a full and successful life as not only girls, but women. The population in Liberia and Sierra Leone face jarring statistics. Over 95% of the population is illiterate, and 85% unemployed. This is due to the incessant conflicts and lack of prolonged educational opportunities. It is a major cause for alarm. Young girls and some women are resulting to a life of prostitution for basic survival, and many young men are engaged in various criminal enterprises. Rural women & girls in Liberia and Sierra Leone are responsible for farming and harvesting, fetching water, raising the children, establishing small businesses, washing clothes and so much more. They have to walk for miles on end on a daily basis, often with a child strapped to their backs, to accomplish such backbreaking tasks. These women and youth are survivors, who are now facing an uphill battle to rebuild a new life with nothing at all. HGI’s Rural Women & Youth Literacy and Social Entrepreneurship program is the “hand-up" that they need to restore their dignity, gain basic literacy and workforce development skills to obtain a better way of life. This will also ensure that they gain the opportunities, with the mindset of the African tradition of “It takes a village” to help rebuild a peaceful and inclusive village community, where young people who have been deemed as “throwaways,” can become a part of.